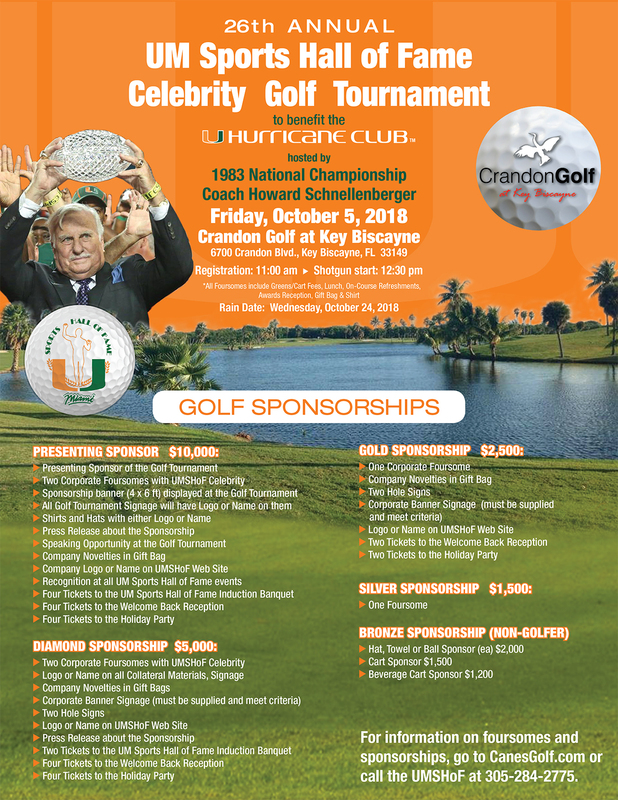 Coach Dennis Erickson to Host UMSHoF Golf Tournament to Benefit the Hurricane Club ! SOLD OUT again this year...but still time to be a Hole Sponsor ! Call 305-284-2775 for details.